The German chancellor’s decision to run for re-election in 2017 is a gesture of much-needed stability. 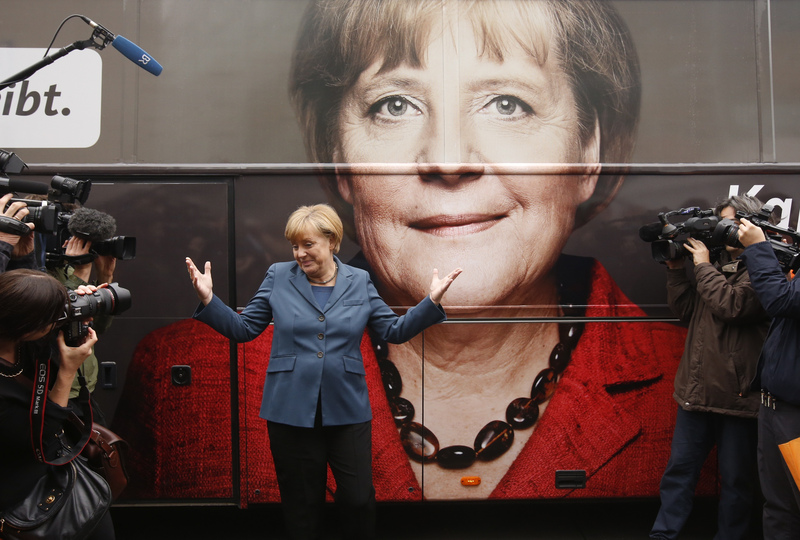 Angela Merkel is likely to win despite the rise of the right-wing AfD party. After that, her best bet is to quit while she is ahead. Angela Merkel has let leading figures in her Christian Democratic Union (CDU) party know that she wants to run for a fourth term as German chancellor in the 2017 election, party sources told Reuters. Merkel is due to hold a news conference at 1800 GMT to end months of speculation about her intentions. Some 55 percent of Germans want Merkel to serve a fourth term, with 39 percent against, an Emnid poll published in the Bild am Sonntag newspaper showed on Nov. 20.